Benchmark reliability in measuring cylindrical parts is second to none with the Techno series, which ticks all the boxes for achieving lean manufacturing. The wide measuring field – from 40 to 180mm in diameter and 300 to 1250mm in length – make the compact, yet ergonomic and robust, machines suitable and adaptable to both your current and future demands. The maximum load capacity of the largest machines is 60kg, while high-resolution capabilities mean minute features are captured on detailed images. Thanks to an on-board self-calibrating step-master, each part produced by a CNC lathe can be measured on the shop floor, with fast and efficient batch changing leading to greater productivity. Making immediate inspection and data capture available next to multiple machining centres, to more than one operator, eliminates bottlenecks and leads to a reduction in downtime as there is no need to leave the production environment. There are multiple benefits, too, of allowing operators more independence during inspection – these include making tool offset adjustments possible before parts become out of tolerance, as well as encouraging immediate preventative actions as indicated by measurement trend graphs. Such improvements to your quality control will contribute to a significant reduction in rejects and rework. The specific expertise behind creating the Techno series, where machines boast an LED illuminated area and are complemented by intuitive software, has resulted in a highly efficient range of solutions that will not let you down. The measuring field on the M300 series – incorporating the M304, M306, M309, M314 and M318 – is 300mm in length and ranges from 40mm to 180mm in diameter. The maximum load capacity on the M304 and M306 is 10kg, increasing to 30kg across the rest of the models. 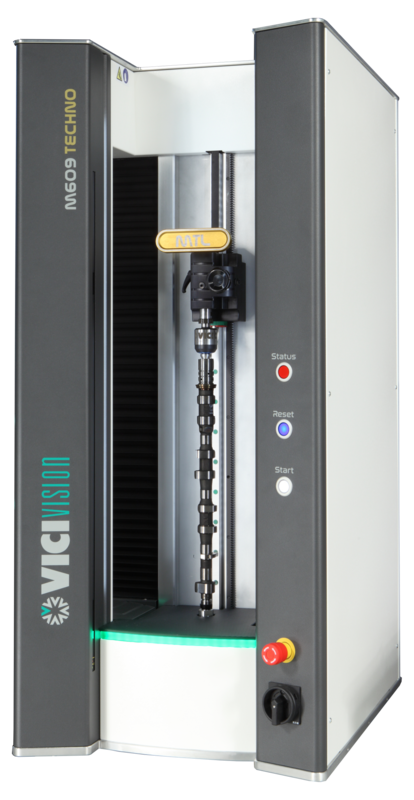 All provide micron-precision performance in terms of accuracy and repeatability. The measuring field on the M600 series – incorporating the M604, M606, M609, M614 and M618 – is 600mm in length and ranges from 40mm to 180mm in diameter. The maximum load capacity on all of the machines in the range is 30kg, with each giving micron-precision performance in terms of accuracy and repeatability. The measuring field on the M900 series – incorporating the M906, M909, M914 and M918 – is 900mm in length and ranges from 60mm to 180mm in diameter. The maximum load capacity on the M906 and M909 is 30kg, increasing to 60kg with the M914 and M918. The measuring field on the M1200 series – incorporating the M1209, M1214 and M1218 – is 1250mm in length and ranges from 90mm to 180mm in diameter. The maximum load capacity on the M1209 is 30kg, increasing to 60kg with the M1214 and M1218. Detailed images to capture minute features. Specific expertise and carefully selected components have created a highly efficient range of solutions. The load capacity of the largest machines has increased by up to 60 kg. Operators are more independent during inspection and tool offsets can be adjusted before parts become out of tolerance in order to reduce the amount of rejects produced. Batch changing is fast and efficient. A single measuring system can operate next to multiple machining centers, involving more than one operator.